Of course the Great Blue Heron has no more blue on it than the Little Blue Heron. Essentially a grey, black, brown, and white bird, it is in no way blue! 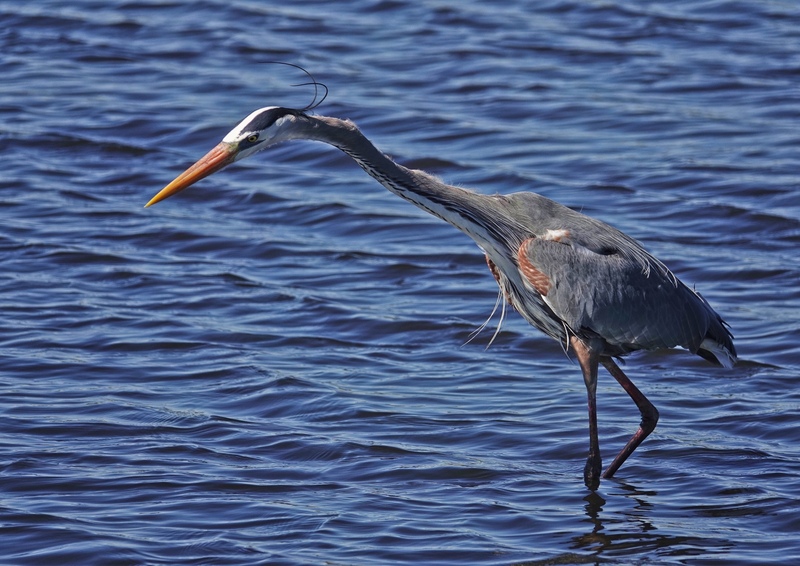 Still, it is impossible not to photograph every Great Blue Heron I see. They are just to photogenic. 🙂 The plumage always shows a range of textures that is unrivaled in the bird world. And they are always posing. This one is off Black Point Wildlife Drive at Merritt Island National Wildlife Refuge in Titusville Florida. Sony RX10iv at 600mm equivalent. My birds and wildlife modifications of Program mode. 1/1000th @ f4.5 @ ISO 100. Processed in Polarr.